Self-adhesive vinyl is a flexible and versatile material that can be used to make eye-catching signs and logos for business or personal use. It is commonly used to create outdoor and indoor graphics for advertising, but can also be used to decorate walls, windows and other areas of an office or home. The material is available from many printing supply manufacturers around the globe, and is strong enough to withstand high temperatures and water. According to U.S. Patent 6388006 issued on May 14, 2002, self-adhesive vinyl is a pressure-sensitive adhesive made with vinyl polymer and a meth acrylic polymer. The material can be used in a digital printing press to create vibrant designs and images, and readily absorbs certain types of ink. 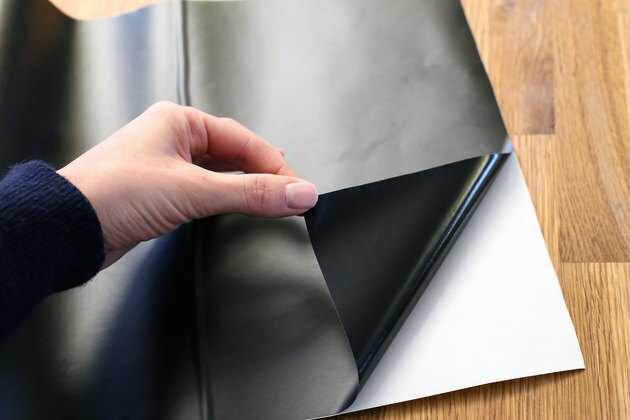 Self-adhesive vinyl sheets can be cut into almost any shape and size. 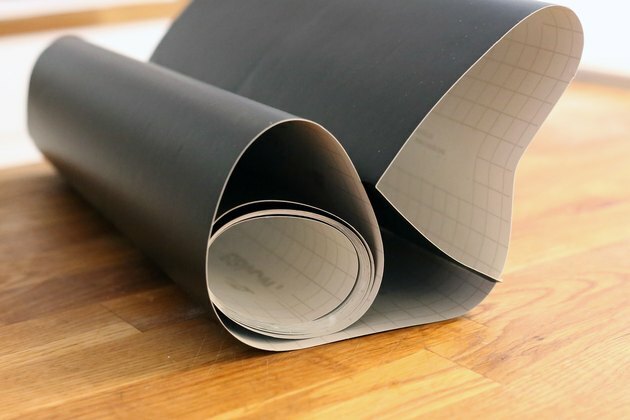 The material may also be used to create flooring tiles because the adhesive backing sticks to almost any curved or flat non-coarse surface within seconds. Self-adhesive vinyl can be used on its own in home decorating or to make signage for business purposes, and can also be used to create certain types of decorative accessories. Common uses of self-adhesive vinyl include: creating display advertising materials, creating removable sticker decorations for walls or windows, and cutting it into lettering to serve as a decorative accent on other types of decor. Stickers and decals may be used on vehicles to advertise a company name or logo. Banners or letters made with self-adhesive vinyl can be placed on large windows or glass doors. Self-adhesive vinyl tiles can be used to create low-cost flooring for kitchens, bathrooms and foyers. Since self-adhesive vinyl can be cut into almost any shape and size, it is a very versatile decorative material. The vinyl shapes can stick to most flat and curved surfaces including plastic, metal, painted wood, aluminum and some types of concrete walls, and can be removed very easily. 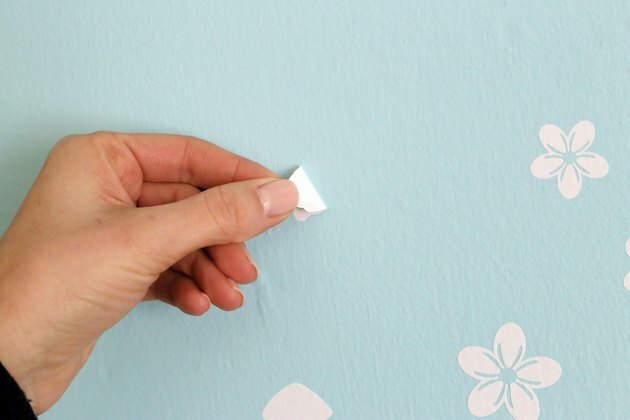 The self-adhesive backing means the person using it does not need any glue or other tools for installation. The letters or signs can be peeled off the adhesive backing and applied immediately, and are made with a durable, water-resistant material to withstand temperature changes and general wear and tear. There are several different types and styles of self-adhesive vinyl available, and these can be customized with logos, pictures and special fonts if needed. Many self-adhesive vinyl stickers and banners can also be dyed a certain color. 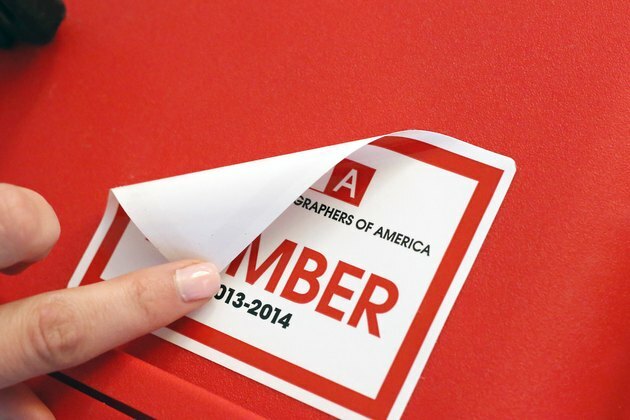 According to LettersUnlimited.com, the different types of self-adhesive vinyl include premium sheets, reflective, fluorescent, digitally printed decals and vinyl letters or numbers. Matte, gloss and clear styles are also options for creating vivid, eye-catching signs and images for displays and booths. Self-adhesive vinyl stickers and decals may also be available in sheets or reams. In many cases, self-adhesive vinyl signs and banners can be customized to suit a particular company's logo. Pre-cut vinyl decals, stickers and banners are also available online and through some printing shops offline. Vinyl letters and numbers are often priced and sold per character. Both permanent and non-permanent self-adhesive vinyl options are available so the material can be used for a variety of purposes. Custom stickers and decals typically require a high-resolution image to be sent in so that the sign maker can replicate the exact size and colors needed.